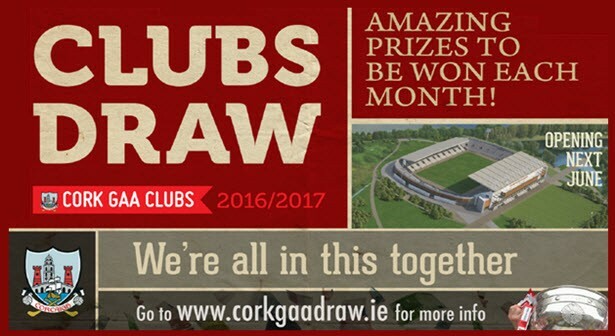 Sarsfields/Glanmire GAA Clubs are promoting the Cork Clubs Draw for the 25th Year. The draw has been a major source of income since it started and your support ensures future development of both clubs with a minimum of €45 returned per ticket sold. The draw also provides C.L.C.G. Chorcai with funds for coaching and the development of our games throughout the county and redevelopment of Pairc Ui Chaoimh. Tickets are €100 for 12 Monthly Draws or €10 per month (2 Free Draws included). The September and October draws take place on Friday 28/10/16.